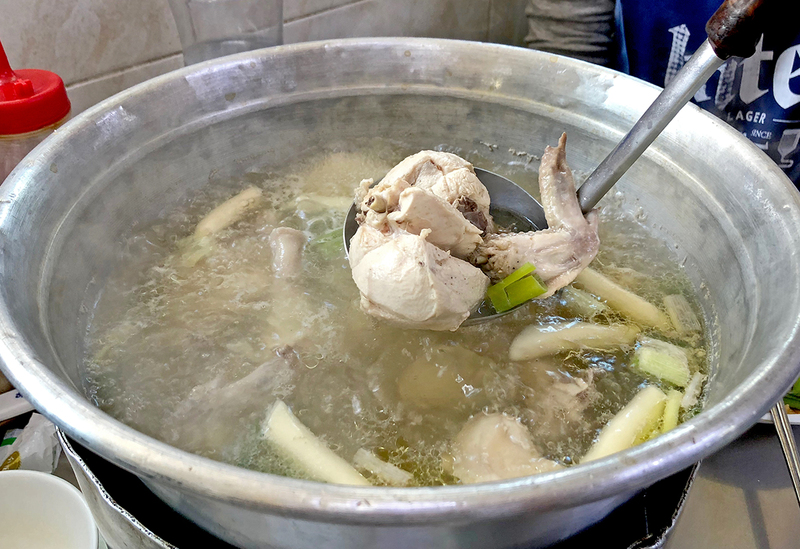 This is a pot of "one whole chicken" soup called Dak Hanmari (닭한마리). a whole chicken and cut it up in front of you. 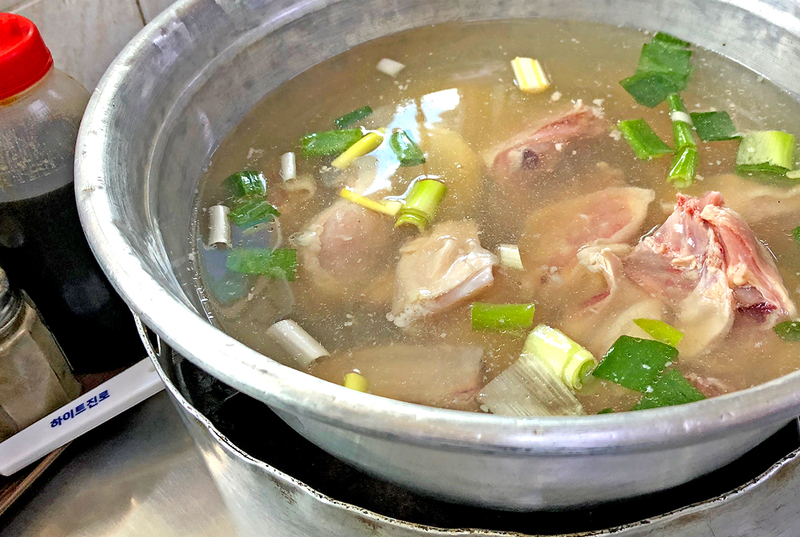 While waiting for the chicken to cook, you can start prepping the sauce like below. 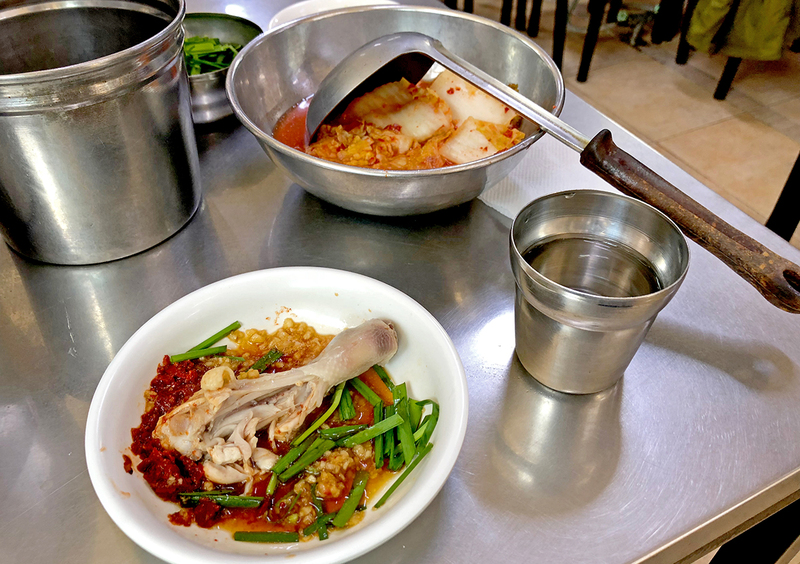 It's essentially a soy sauce concoction with vinegar, garlic and green onions- to taste! 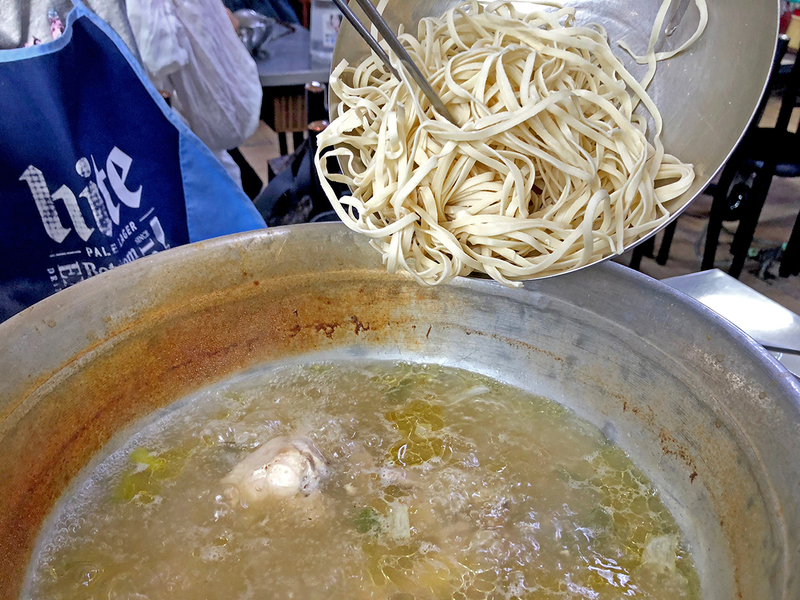 Once you are almost done with the chicken, you can order noodles or rice (to make congee) with the remaining broth. I actually don't remember having this but my Japanese friend is such a fan that she will drop by without fail whenever she comes over for a visit. 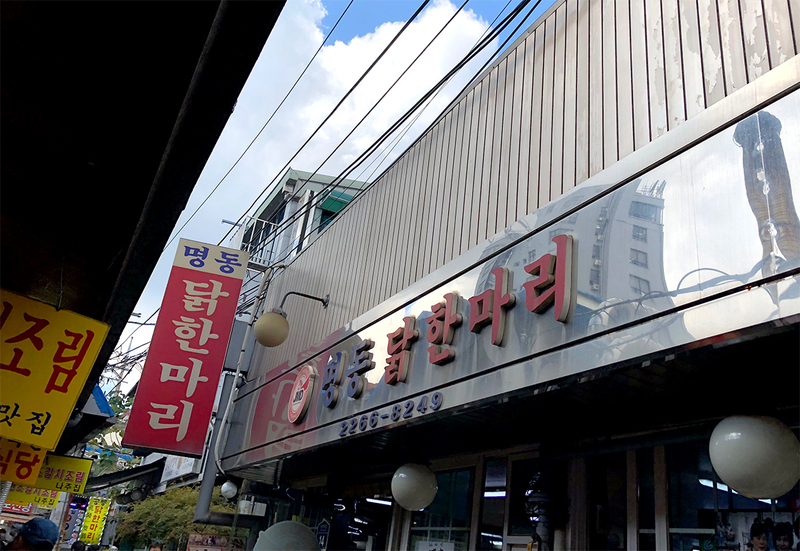 Apparently she tried other "famous" stalls like the one right beside, but preferred this "Myeongdong Dakhanmari" instead (signboard below). 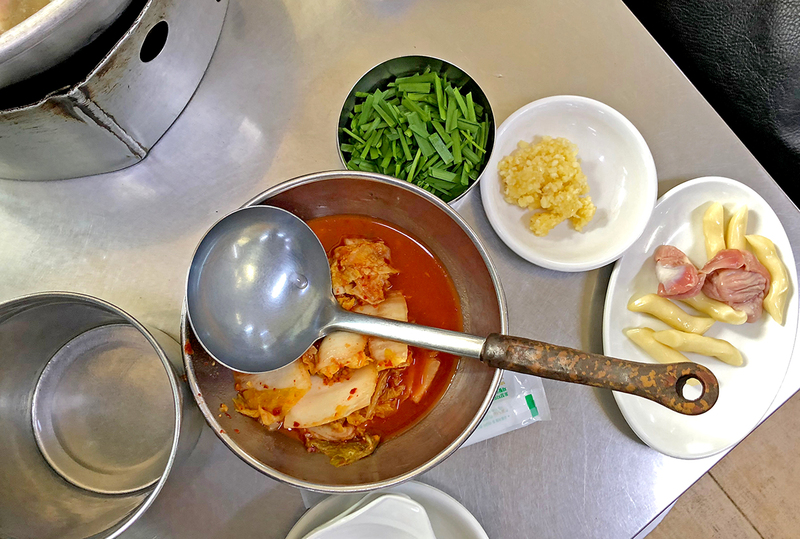 Should you like to try some Dak Hanmari...Dongdaemun is a popular location for it (with different brands side by side) and once you are done eating, you can take a stroll and get into Gwangjang Market for more snacks!